This Venepuncture and Cannulation training course is a REFRESHER session for healthcare professionals who wish to be kept updated with the latest legislation and compliance changes, research and above all, correct procedures. Please note - this course is not intended for delegates who have not performed Venepuncture or Cannulation before! 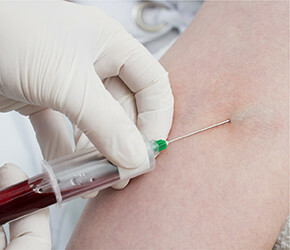 Venepuncture and Cannulation are the most commonly performed invasive procedures in the NHS. To perform these procedures well and to a safe standard it requires staff to have relevant and up-to-date knowledge and skills. This training includes both comprehensive theory and interactive practical, with plenty of time to perfect your technique. Certificate lasts for 1 year! Compact, face to face theory & practical course using stimulation equipment to learn the foundations to access veins confidently. Small group sizes mean there is lots of occasions for one to one teaching during the practical sessions, so all delegates are catered for. Vascular Access Structured Learning Programme endorsed by NIVAS to take away with you to enable you to demonstrate competency.